2.06.03 As the ball is falling the server shall strike it so that it touches first his or her court and then, after passing over or around the net assembly, touches directly the receiver’s court; in doubles, the ball shall touch successively the right half court of server and receiver. 2.07.01 The ball, having been served or returned, shall be struck so that it passes over or around the net assembly and touches the opponent’s court, either directly or after touching the net assembly. 2.08.02 In doubles, the server shall first make a service, the receiver shall then make a return, the partner of the server shall then make a return, the partner of the receiver shall then make a return and thereafter each player in turn in that sequence shall make a return. 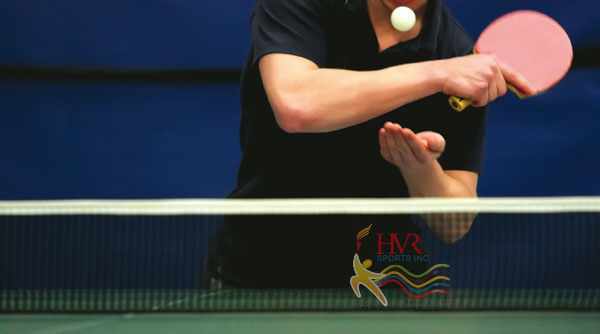 2.08.03 When two players who are in wheelchairs due to a physical disability are a pair playing doubles, the server shall first make a service, the receiver shall then make a return but thereafter either player of the disabled pair may make returns. However, no part of a player’s wheelchair shall protrude beyond the imaginary extension of the centre line of the table. If it does, the umpire shall award the point to the opposing pair. 2.10.01.12 as provided under the expedite system (2.15.4). 2.10.01.13.03 his or her opponent’s footrest or foot touches the floor during play. 2.10.01.14 as provided under the order of play (2.8.3). 2.15.01 Except as provided in 2.15.2, the expedite system shall come into operation after 10 minutes’ play in a game or at any time requested by both players or pairs.